Hermine is now down graded to a Tropical Storm traveling up the East Coast from Floridas gulf coast with tornado watches issued as winds increase in severity as the day heats up! This is an active start to National Disaster Preparedness Month. Our hearts go out to the storm victims experiencing the stress of evacuation, separation, flooding and wind damage. Do you have your disaster plan in place? Does your family have a designated meeting spot, in case you are separated at the time of disaster? Have you made arrangements for your pets, in case you can’t get back home in time to care for them? Are you familiar with Pet Friendly Hotels in case you need to evacuate. Cell phones most likely won’t be useable as lines will be overloaded or towers down depending on disaster. WC DART is meeting Thursday September 8, 2016 at WEMAs Training Center at 6:30 pm. 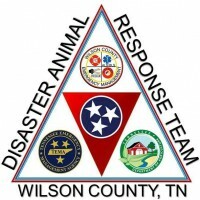 Training Topics are Disaster Team Preparedness and Enrichment in Shelters.